You can listen to the Get by in Croatian podcast for free on iTunes. Get instant access by subscribing to the podcast here. 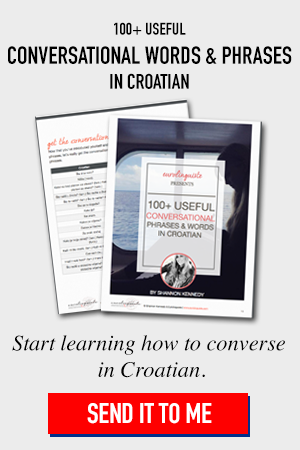 Don’t hesitate to leave me your Croatian learning questions in the comments below. It may be featured in an upcoming episode! Thank you so much for listening to this episode of Get By in Croatian! I’ll see you in the next episode of Get by in Croatian! The Get by in Croatian podcast is hosted and created by Eurolinguiste.